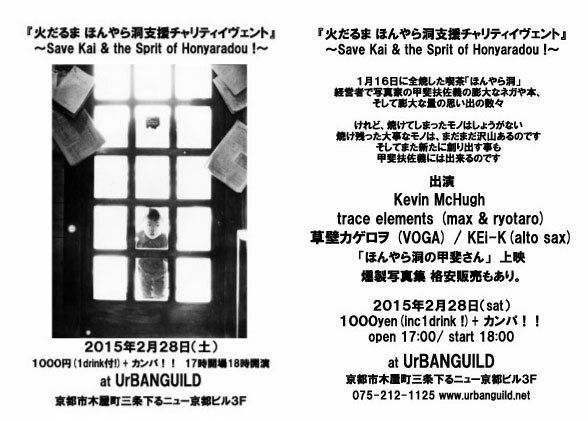 Support Kai Fusayoshi & the Spirit of Honyarado this Saturday February 28th at Urbanguild! …the café caught fire in an unknown cause before dawn of 16th January and over 2million frames of black-and-white photographic negative film I’ve saved for more than 40 years, along with tens of thousands of prints, thousands of copies of more than 40 books I wrote, posters, postcards, my favorite cameras, a hundred and several tens of diaries I’ve kept for 43 years, manuscript of “Youth of Honyarado”, my new book on the pleasant early days that was about to be published, valuable guest books conveying the atmosphere of early days vividly, and thousands of books from my library, were mostly burned down and lost. 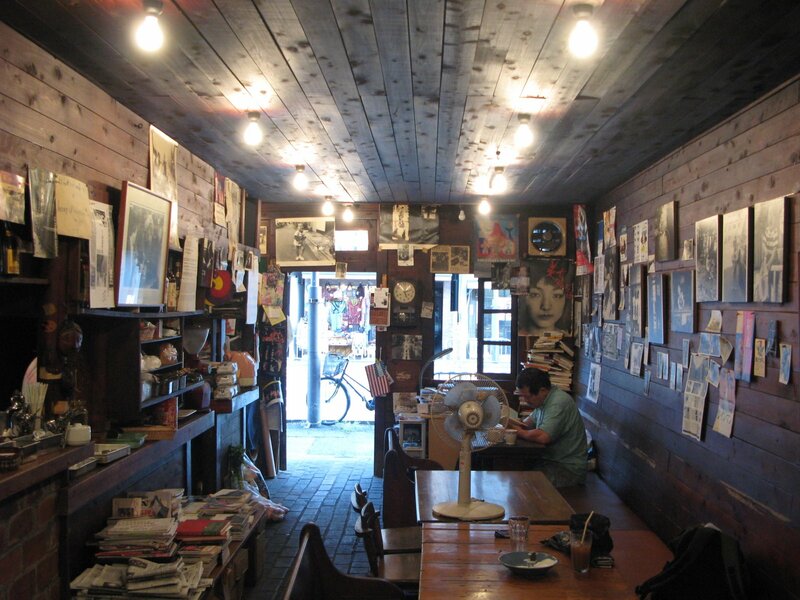 Legendary Kyoto cafe Honyarado, once famed as a center for counter-culture and folk music, was sadly lost to us in a fire on January 16th of this year. Fortunately, Kai Fusayoshi the proprieter, escaped unhurt, but he did lose many of his precious negatives and books. Kai is a well-known black-and-white photographer who has been documenting the lives of ordinary Kyoto citizens (and cats) for many years now, so this is a terrible loss. The good news is that the good people at Urbanguild have organized an event this Saturday to show their support for Kai, and encourage him to start afresh. This is a good opportunity for the local community to come together and show some support for one of our most valued members, and I’m sure it will be a memorable night. Entry: 1000 yen (+ one drink) -> and a donation! Location: UrBANGUILD. From Sanjo Dori go down Kiyamachi Dori. This is the narrow street running alongside Takase stream. Urbanguild is on the east side (left hand side as you walk down from Sanjo). Walk approximately 150 metres. Its on the 3rd floor of the New Kyoto Building – access by elevator or stairs. Here is a MAP. Apparently some “smoked” photographs will also be on sale & there will be an after-party at Kai’s bar, Hachimonjiya (map here).